Reinforcement of plastic parts. 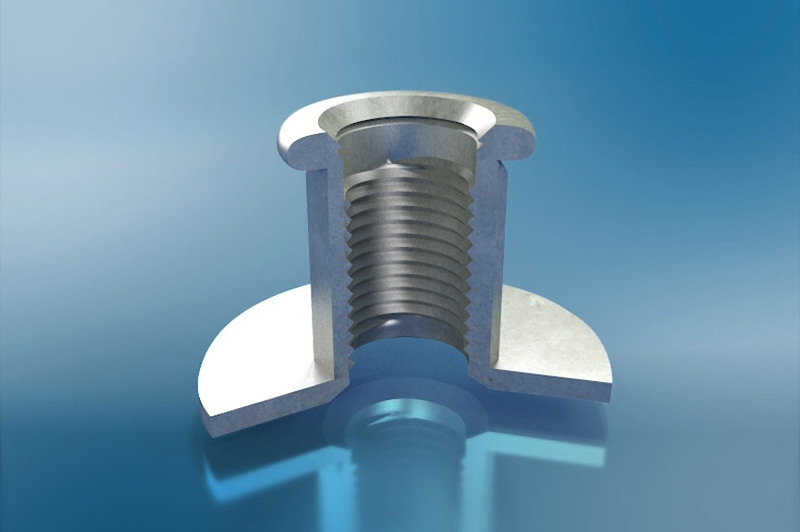 With IMTEC® high-strength thread inserts for in-molding. 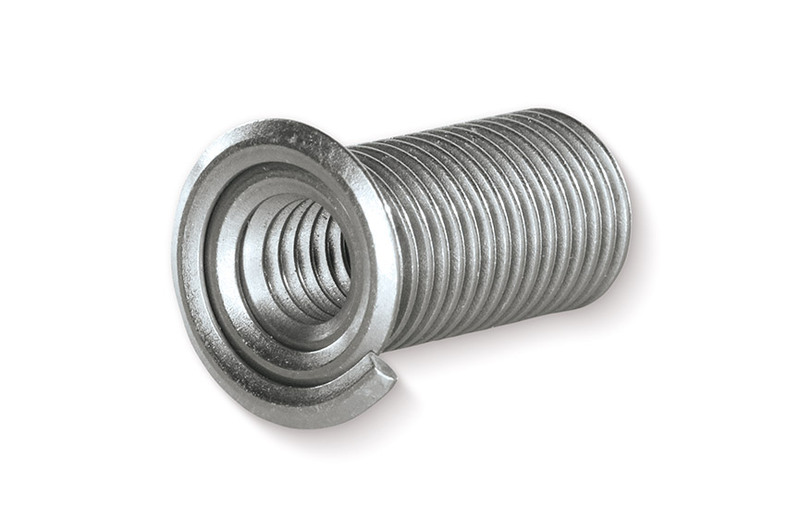 IMTEC® refers to "In-Molding Technology" and describes the in-molding of metal thread inserts with plastics. Plastics offer many advantages, especially in combination with metal since low weight and high strength are combined. The innovative IMTEC® molded inserts are particularly suitable for thermoset and thermoplastic materials as well as CFRP composites. 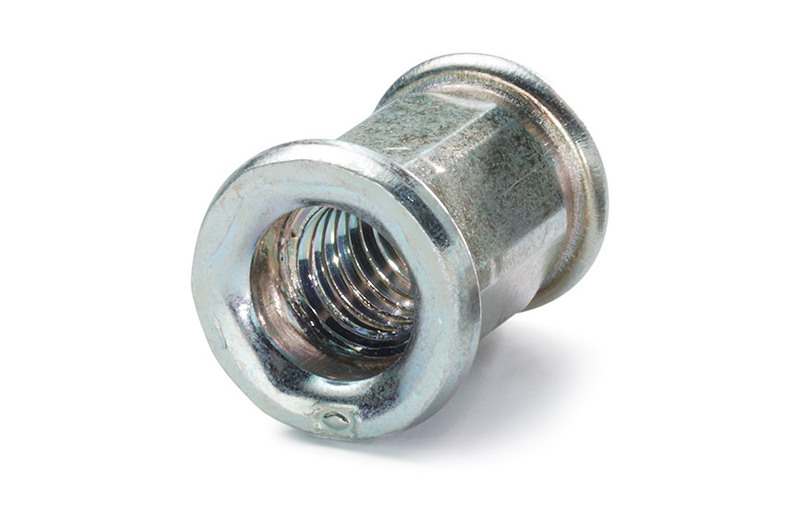 IMTEC® offers wear-free, resilient metal threads in high-quality plastic components. 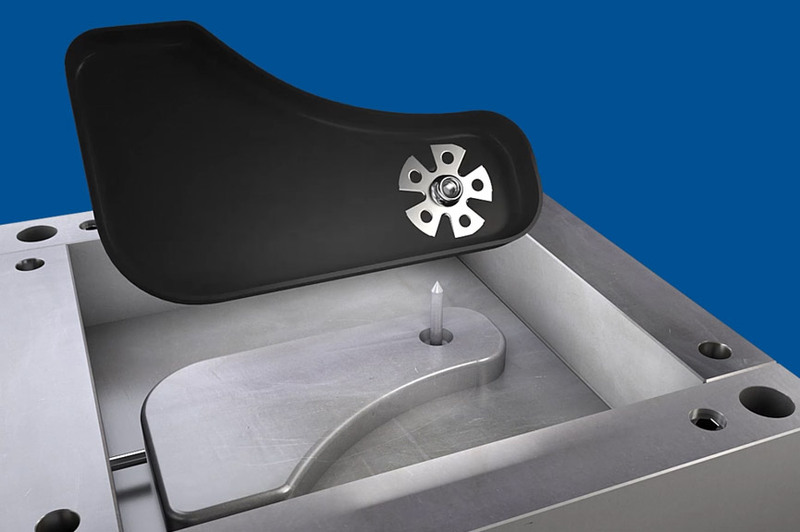 Before the part is produced, the IMTEC® molded inserts are placed into the mold manually or by means of a handling system. Then, the metal inserts are injection-molded with plastic. Only the core pins of the injection mould have to be geometrically adapted to the IMTEC® molded inserts. 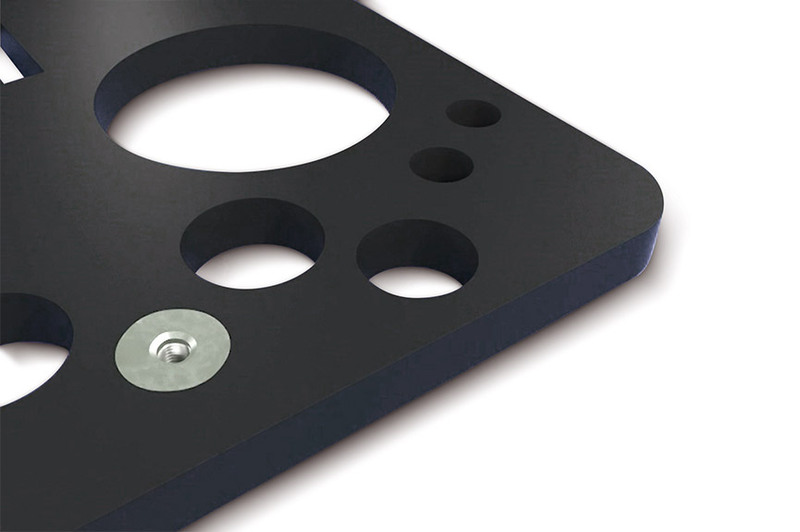 The IMTEC® molded inserts can be used in many different areas, including medical technology, the automotive industry, plastics engineering and fluid technology. 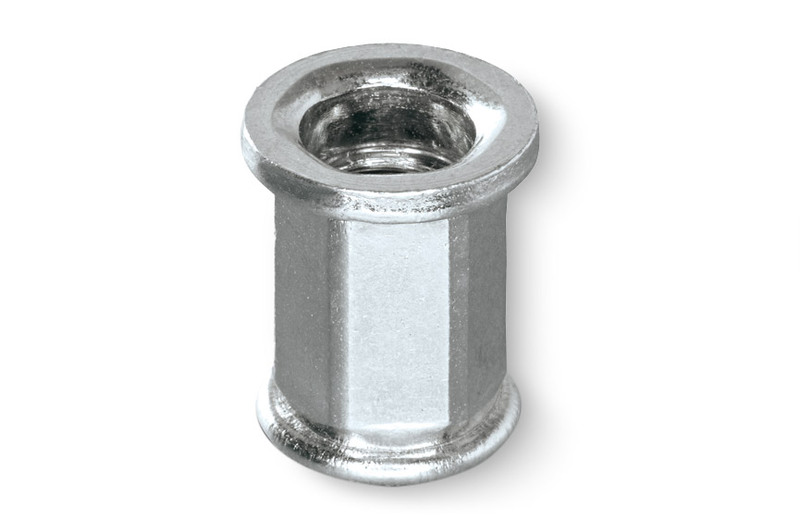 Corrosion and acid resistant due to the use of stainless steel 1.4301/10. Therefore, no potential difference to carbon fibers exists for instance. IMTEC® is used for forming, particularly in injection molding (here in-molding technology). For the manufacture of plastics-metal components (hybrid parts), a system composed of injection molding machine, injection mold and optionally automation technology is required. The injection mould preferably made of steel consists of several components and different single parts. Only the core pins of the injection moulds have to be geometrically adapted to the IMTEC® molded inserts to achieve great accuracy and reproducibility. The thread inserts are placed into the mold manually or by means of a handling system (figure 1, example of a plastic handle). 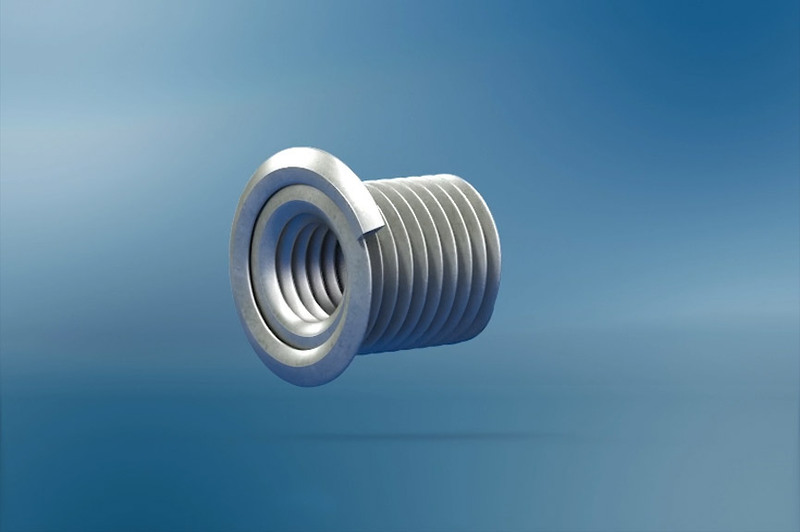 Due to the forming process, the thread inserts are also sufficiently magnetized and can therefore be securely placed on magnetic core pins. 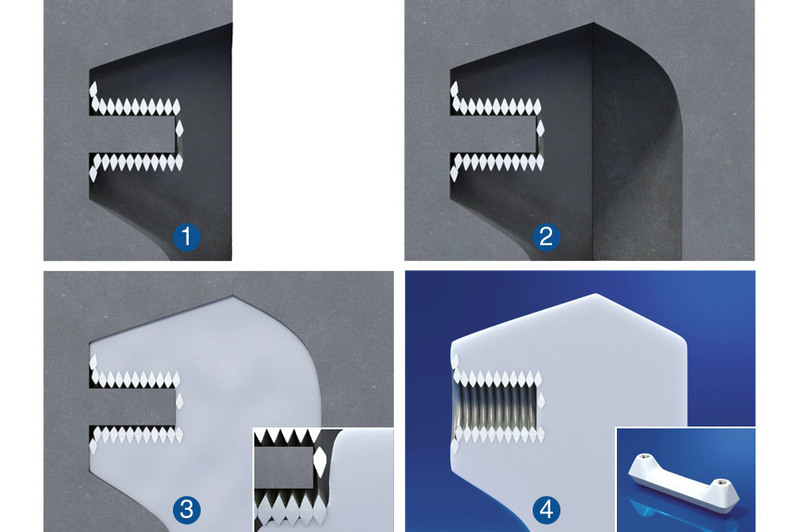 In the next step, the mould is closed (figure 2) and a precisely measured amount of the plasticized plastic material is injected into the cavities of the injection mould under high pressure and at high speed (figure 3). Until the liquid core of the molding material has cooled down and become solid, the component remains in the mold. After the end of the residual cooling time, the clamping unit opens the mold and the component is ejected (figure 4). 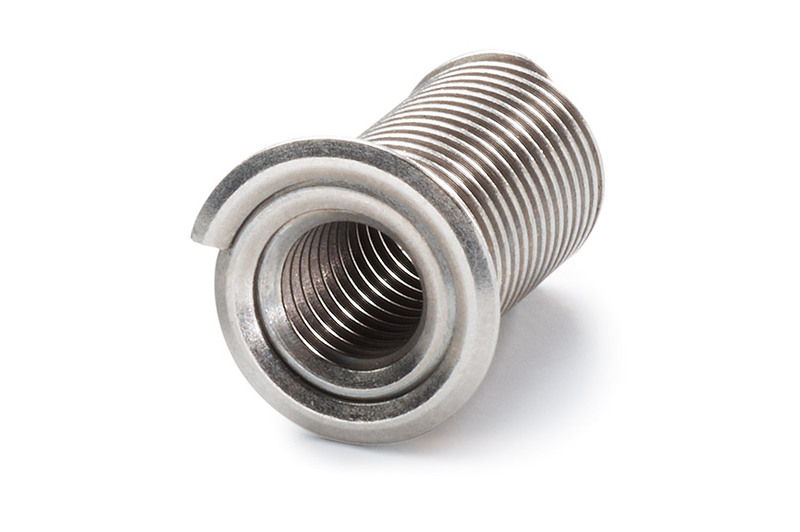 The IMTEC® CO thread insert for in-molding is an asymmetric rolled stainless steel A2 (option A4) wire which is mainly used for customer components with blind hole threads. That wire is coiled to form a fixed bushing with at least one flange-type extension. 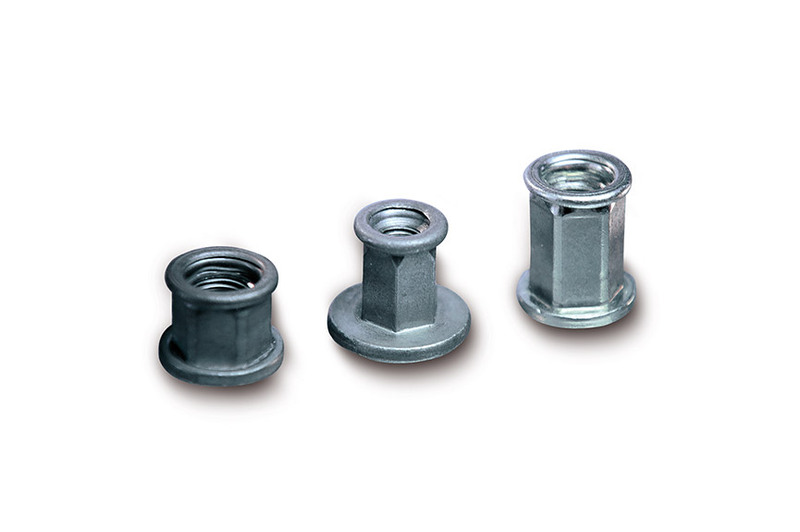 In the forming process, the fasteners are also sufficiently magnetized and can be placed on magnetic core pins. 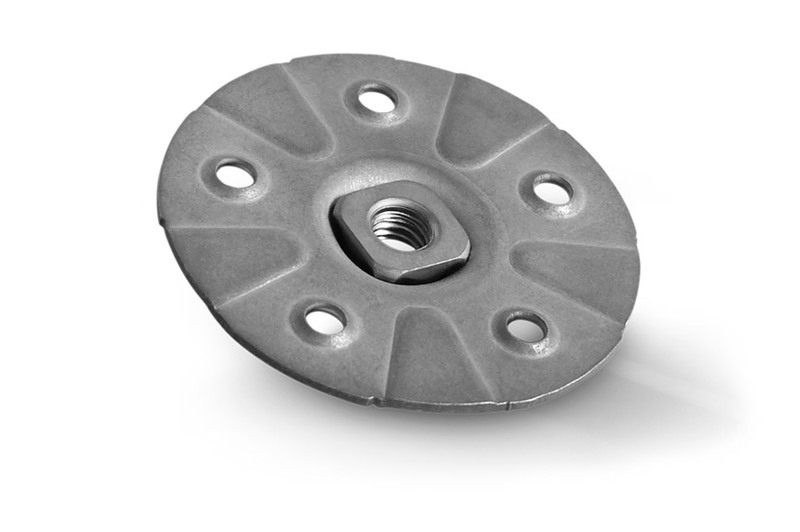 The IMTEC® CF thread inserts with double flange are produced from steel by cold forming. 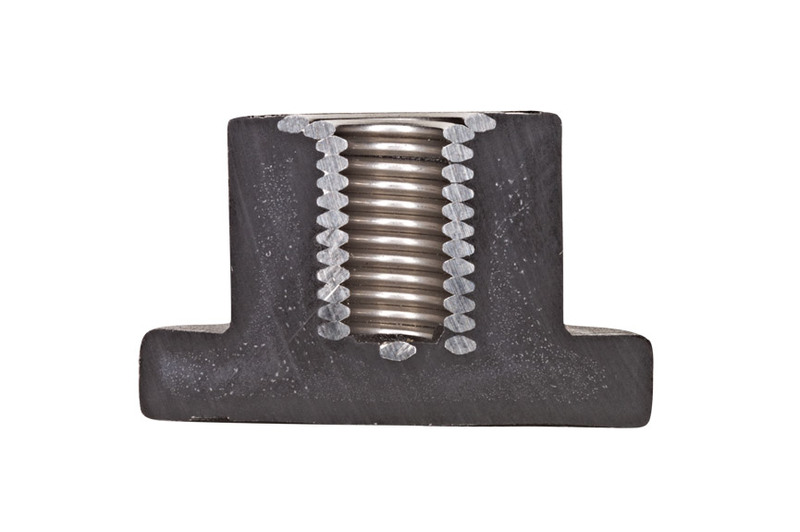 The in-molding technology requires particularly accurate thread inserts. 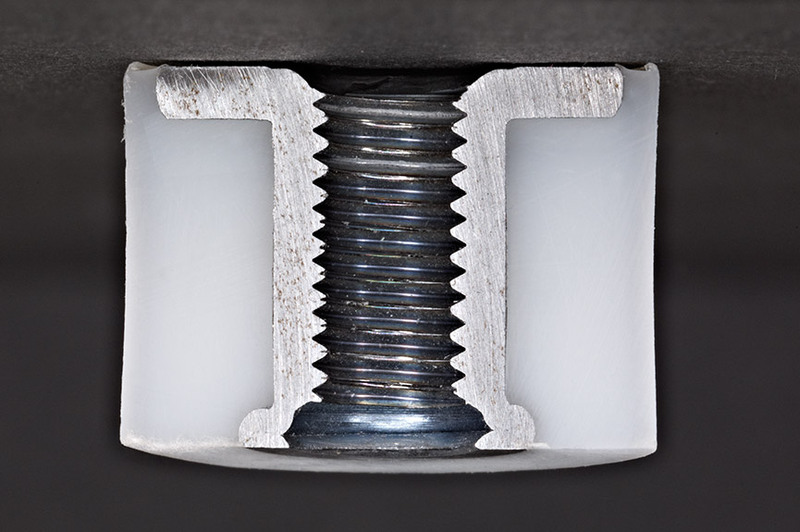 The deformation area on the IMTEC® CF allows precise adjustment of the length of the thread insert according to the mold dimension. 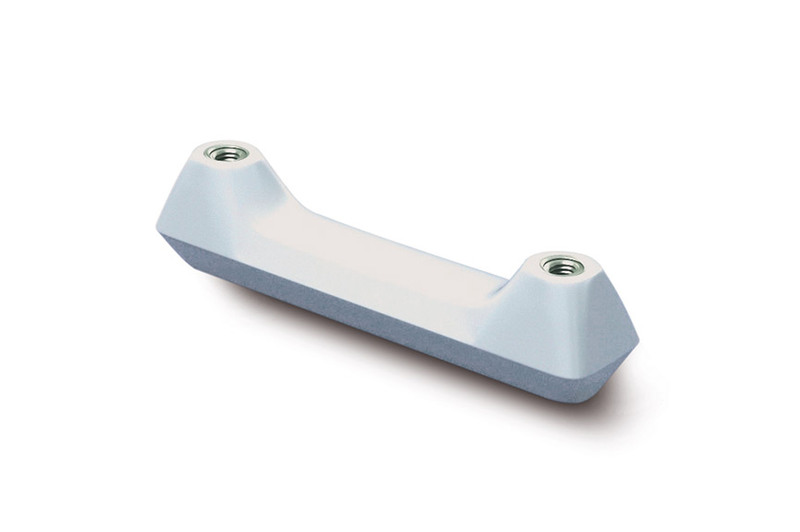 Upon closing, the parts of the mold compress the IMTEC® CF and precisely adjust the length of the component (L ± 0.15 mm). 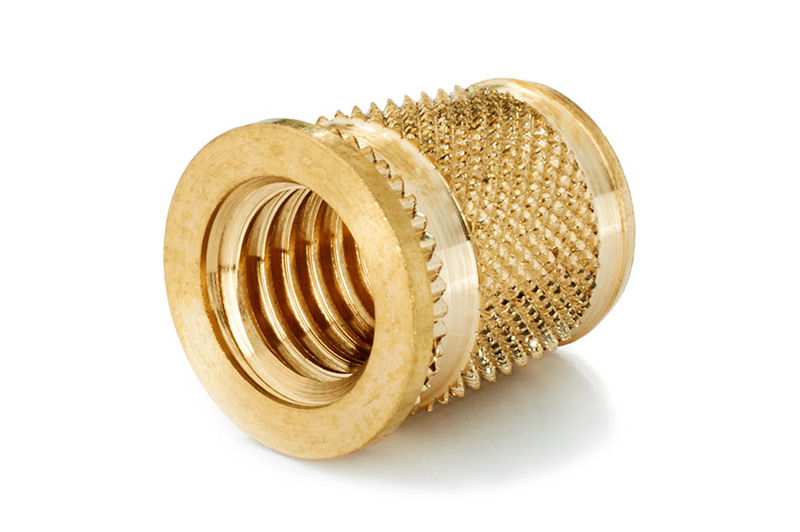 They are primarily intended for components with through-hole threads.